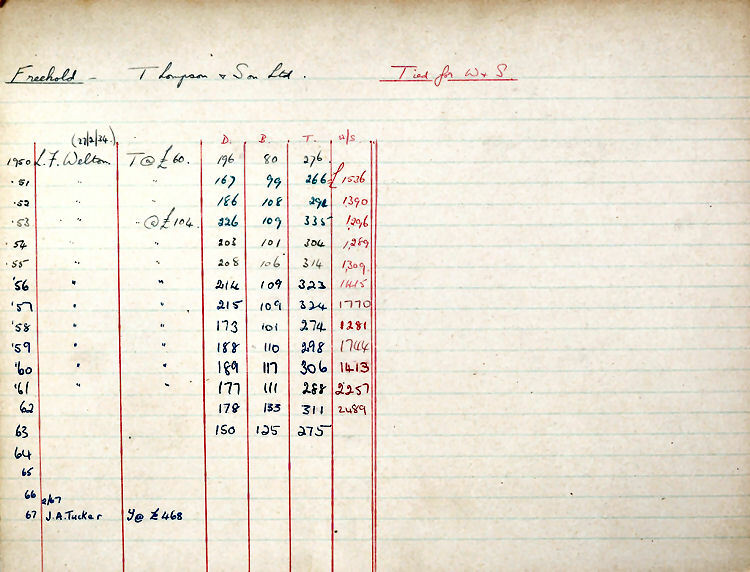 Thompson & Sons ledger. Creative Commons Licence. Above picture taken from Google maps July, 2012. 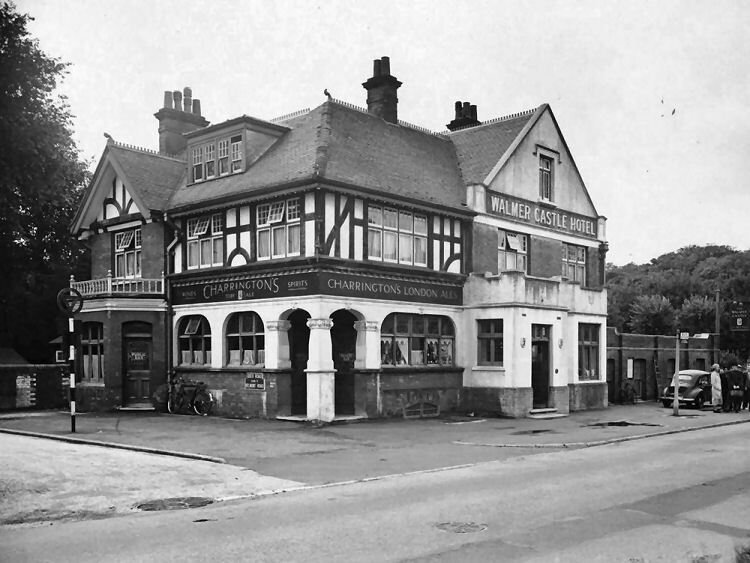 No research done for Westgate as yet, but found one mention of the pub in the Dover Express of 1901. From the Dover Express and East Kent News, Friday, 12 July, 1901. Price 1d. 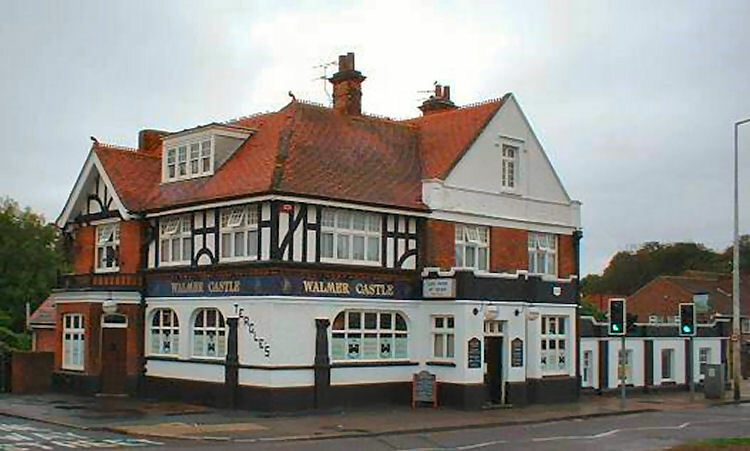 Mr. Rultey Mowll applied on behalf of Mr. A. J. Matthews for a final order in respect of some new premises he had erected at Westgate, and for which a provisional grant was made at the last Brewster Sessions. The notice has been proved. Mr. E. W. Fry certified that the building had been erected in accordance with the plans to which the Licensing Bench had given assent. 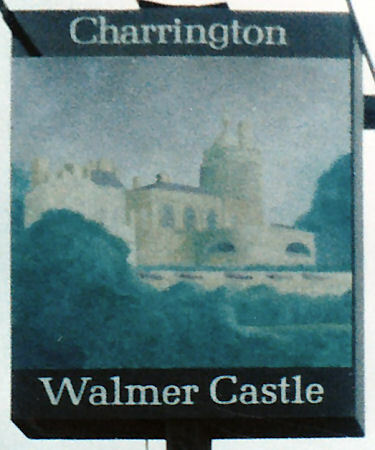 This was granted; and a transfer of the licence of the new house, the “Walmer Castle Hotel,” was made from Mr. A. J. Matthews to Mr. T. Randall, of Malling. From The Dover Express, Friday, March 10, 1905. 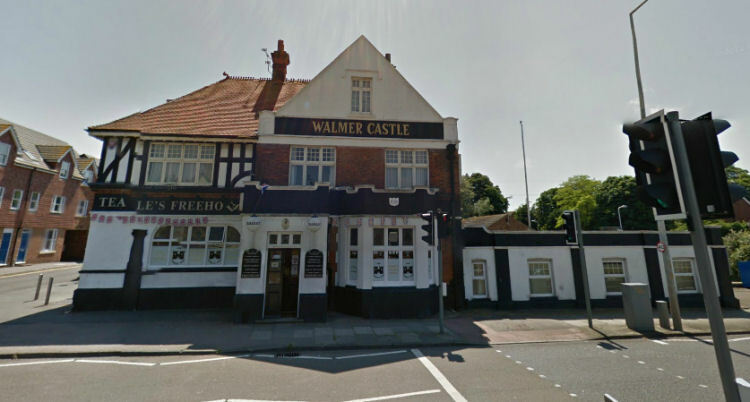 Mr. Randall, landlord of the "Walmer Castle Hotel," Westgate-on-Sea," was granted an extension on Tuesday, March 21st, for a Conservative supper.